Google has a new app available on the Play Store that provides some insight into how it will bring live content to its Android TV platform. The Google Live Channels app isn’t yet even compatible with the Nexus Player, the first device out there available to consumers boasting Android TV, but it looks primed to support live content from built-in tuners, IP-based tuners and other sources. The Live Channels app will likely be more useful when OEM partners start building Android TV directly into televisions and set-top boxes, and should allow Android TV devices to accept and interpret digital TV signals, offering up guide information about programming, including show times, show descriptions, age ratings and more. There’s not much in the description for the app, and since it isn’t yet compatible with any hardware it can’t be tested just yet, but it does appear to offer the ability to view content with picture-in-picture functionality, and to customize channel listings with different grouping options. A method for accommodating traditional TV signals could help Android TV gain a significant leg up when it comes to the set-top platform wars. If Google can build a way for live content to live alongside its on-demand services with an interface that makes sense, that will be more than most others have been able to accomplish thus far. 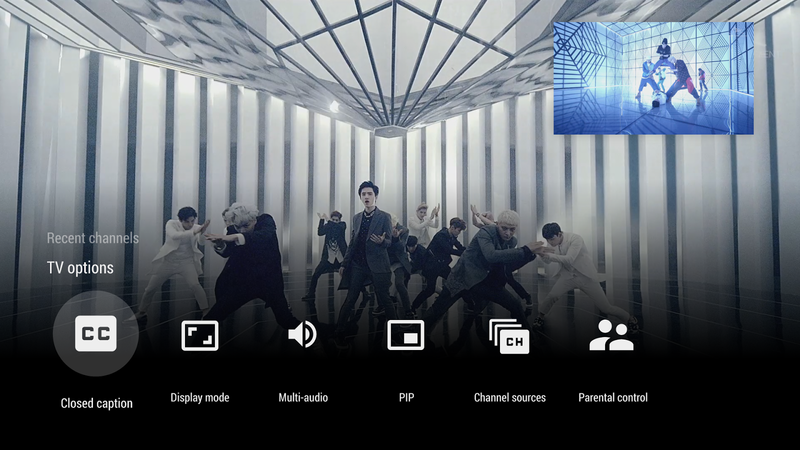 So far, the offering looks more like an app that lives apart from the general Android TV experience, however, so we’ll have to see just how integrated it is into the overall shared interface when it gets a proper launch.